after years of hardwork, shenna is graduating from san francisco state university this spring with a degree in business. 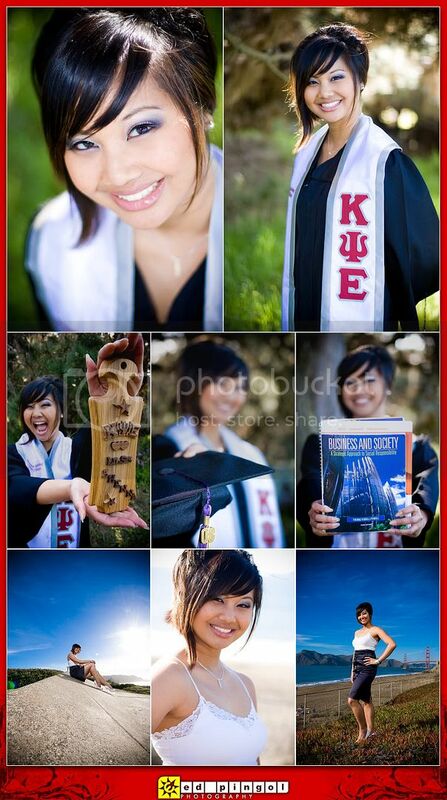 a proud member of kappa psi epsilon, she made sure to bring her letters and paddle to baker beach for her senior photos. congratulations, shen! you did it! help us "graduate" to our next achievement and please vote for us for "photographer of the year" by clicking on the link below. thanks so much! the lovely soon-to-be college graduate, shenna!